Kojima Productions has confirmed that the upcoming new title from the independent studio will make its way to PC. 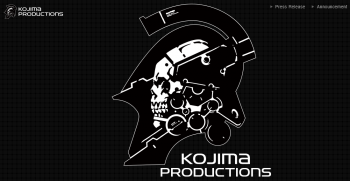 In an interview with Medium (Google cache mirror) a representative from legendary game developer Hideo Kojima's new independent studio: Kojima Productions, spoke of the studio's just-announced partnership with Sony. While the entire interview is interesting, one of the most interesting things to come out of it is the fact that despite what Sony claimed (or at least, suggested) in its video, the first game Kojima produces for the company will only be a timed PS4 exclusive, and will eventually make its way to the PC. "What other platforms will Kojima's first independent title be available on, besides PS4?" asked Medium, to which the representative replied, "The title is planned to become available on PC (after PS4)." When asked how long the exclusivity agreement with PS4 would last, it declined to comment. The representative did however state that the impact Sony will have on the development of the title will be very minimal, and it will simply act as a publisher. In regards to the title itself, the representative said it would be something "completely new", and will have nothing to do with either the Metal Gear or Silent Hill franchises. Curiously, the Q&A is no longer available on medium, and when asked why, the reporter claimed that he was asked to take it down, though offered no further details on who asked him, and why. On the surface, this seems to me like a case of Sony trying to sweep the whole "coming out on PC later" statement under the rug, and try to pretend that the game will be PS4 exclusive for as long as it can. This is good news though, because the last few Kojima Productions PC ports have been absolutely spot-on, and it would be a shame to throw that away.